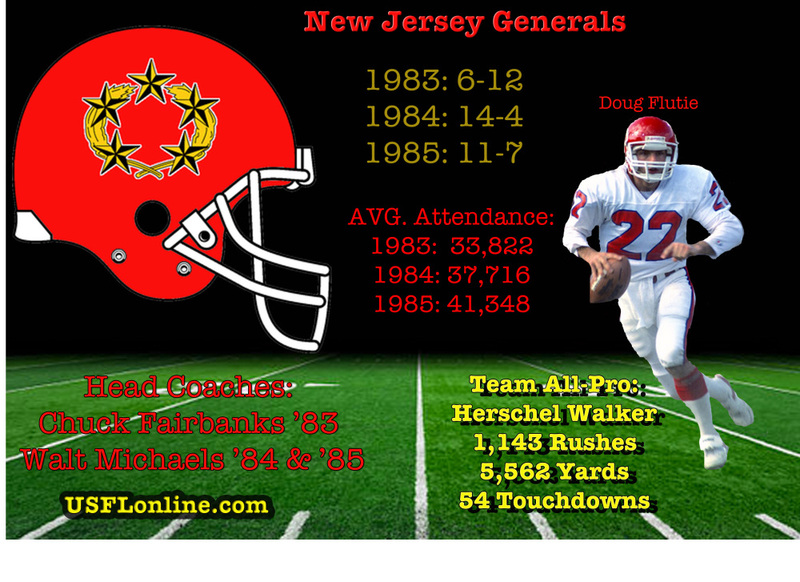 The New Jersey Generals had the biggest stars in Walker and Flutie, but never won a playoff game in their two appearances in the post-season. The Generals won 14 games in '84 and 11 games in '85, but lost both years to the Mora's Stars, despite Trump spending millions on the biggest names in college and pro football. In'84, Trump brought in former NY Jets coach Walt Michaels, and QB Brian Sipe left the Cleveland Browns to hand the ball off to Walker. 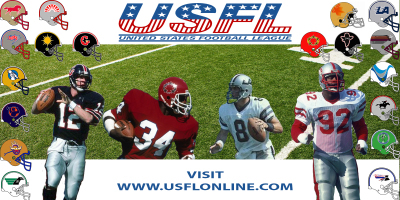 Sipe was shipped to Jacksonville the following year, as the Generals signed Heisman Trophy winner Flutie before the start of the '85 season. Flutie's numbers weren't great, but like college, he found a way to win. Unfortunately for New Jersey, a shoulder injury kept out of the final three games of the season and the playoffs.